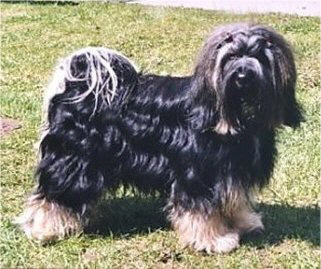 This litter is directed to finnish Tibetan Terriers - sire is imported from Finland and dam has 3/4 finnish blood. Evry is young strong male, he has come from Finland. 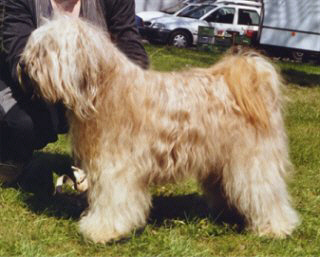 His sire is - Multi Champion Karamain Jo-Wo Pan-Bu (Ch. Karamain Pan American x Ch. Karamain Christmas Carol), his dam is Champion Finland Karamain Galatea (Ch. Mirosan Esfahan-Pama-Da x Ch. Karamain Rosalinda). Everest has lovely temperament, he is very beloved. Everest is eyechecked (free of PRA, PLL, cataract), HD-A (free of hip dysplasia). Daisy is daughter of our Villi (Multi Champion Amox Sissybar) and Djingi (Multi Champion Tashi Bodjul Djengis-Khan). She is very typical Tibetan and has also very kind temperament. Daisy is also eyechecked (free of PRA, PLL, cataract), HD-A (free of hip dysplasia).